I thought this book had a great start. I thought the main character, Millie, was a really funny and charming character. She seemed realistic and relatable. I really enjoyed the first couple chapters with her POV. When she saw Will again at the wedding, I thought it was hilarious. Fiona made their interaction so funny, and what Will thought of Fiona literally made me laugh out loud. It definiltey through an interesting twist into the story. However, that "twist" did get on my nerves after a while. I really liked that storyline at first, but I found it be a little boring about 30% through the book. I was glad when that topic was finally put to a rest. It was funny at first, but it lost it's charm after a while. The main male lead in the book, Will, was quite charming. I found myself very attracted to him and his Australian accent. I liked Will, but I was also extremely annoyed with him at times. Will said some really dumb things and did stupid things numerous times through out the book. As a whole, he was a lovable character. He definitely did somethings that made me like I needed to fan myself off. The romance between Millie and Will was fun and cute. It was well paced, and I really enjoyed watching their feelings develop for each other. I was annoyed that the "twist" that I mentioned earlier hindered their romance, but it did help their romance develop at a more natural pace. Another thing that annoyed me about their relationship was that they weren't very open with each other and that lead to a lot of drama. When they weren't fighting, I really adored their relationship. I thought Will and Millie were cute together, and they had a lot of chemistry. The side romance between Ethan and Tara was a little boring in my opinion. I would have rather had a separate book about them instead of them having a few chapters here and there in the book. I would have rather seen this book only focus on Will and Millie. I definitely would love to read about just Tara and Ethan in the future. I just wish it wouldn't have been put in this book. One of the things I really enjoyed about this book was seeing the medical world. I thought it was really interesting to actually read about Will and Millie working in the medical field. It made me feel like I was reading Grey's Anatomy, and I loved it! I also really liked how Millie was dealing with her diabetes through out the book. I found that storyline to be really eye opening and interesting. Overall, I liked this book! I thought it was fun summer read that made me laugh out loud numerous times. 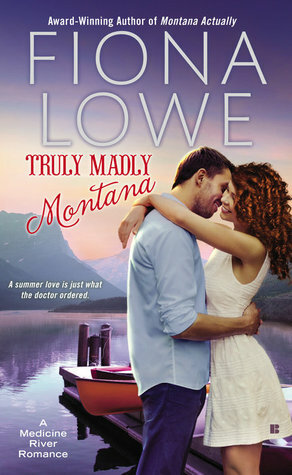 I would recommend this book to anyone who likes hot doctors and cute romance!